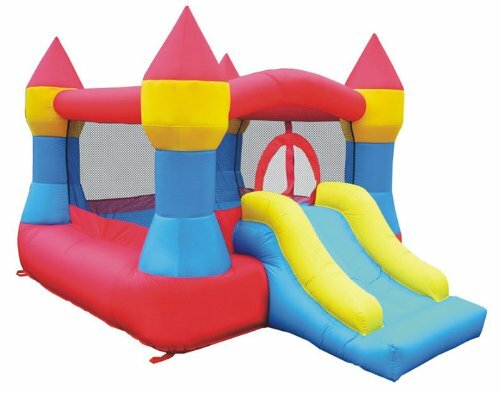 When properly staked or weighted down, and used with a bit of caution and common sense, a bounce house can be an excellent way for children to get some exercise, develop gross motor control, and burn off all that energy. But they are not without their risks. A study in the journal Pediatrics from 2012 found that 11,300 children were injured in bounce houses in 2010, double the number in 2008. Possible injuries that can be caused by bouncy houses include cuts, bruises, pinches, sprains and strains, broken bones and fractures, head injuries including concussions and even death. The Consumer Product Safety Commission’s (CPSC) National Electronic Injury Surveillance System (NEISS) estimates that there were more than 1,300 reported cases of injuries to children under the age of 18 caused by inflatable toys and inflatable furniture that were treated in hospital in the United States in 2013. The number of actual injuries caused by bouncy houses is likely to be quite higher than this, as the data from the CPSC reporting system only looked at those injuries which resulted in medical treatment at one of 100 participating hospitals, and minor injuries were likely treated at home or another medical treatment facility not included in the reporting data. Always be sure to follow the manufacturer’s instructions for use, including proper staking and maximum weight and child limits. Keeping children of similar ages and sizes together can also help prevent any accidents. Proper adult supervision is also essential. 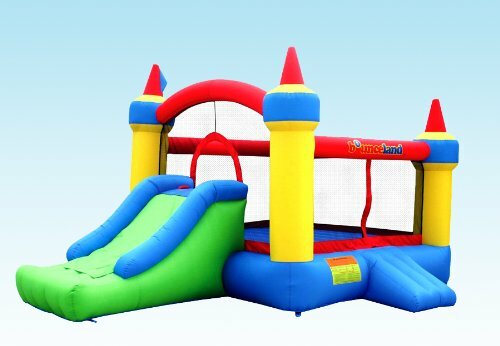 With the above information in mind, in no particular order, here are 50 of the bouncy houses and inflatable toys we consider to be the safest, based on available features and average customer reviews and ratings. 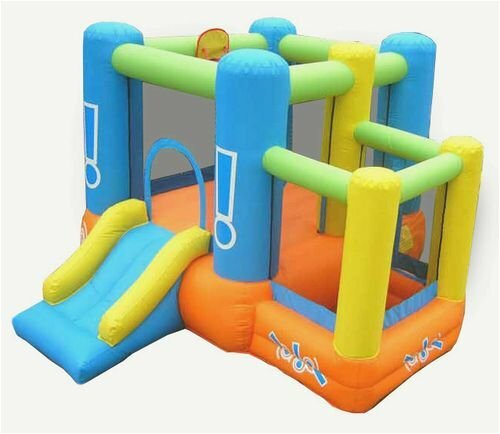 This popular Blast Zone bounce castle is suitable for up to three children to play in at once and comes with the blower included. Netting surrounds the castle to keep your little ones safe while at play. 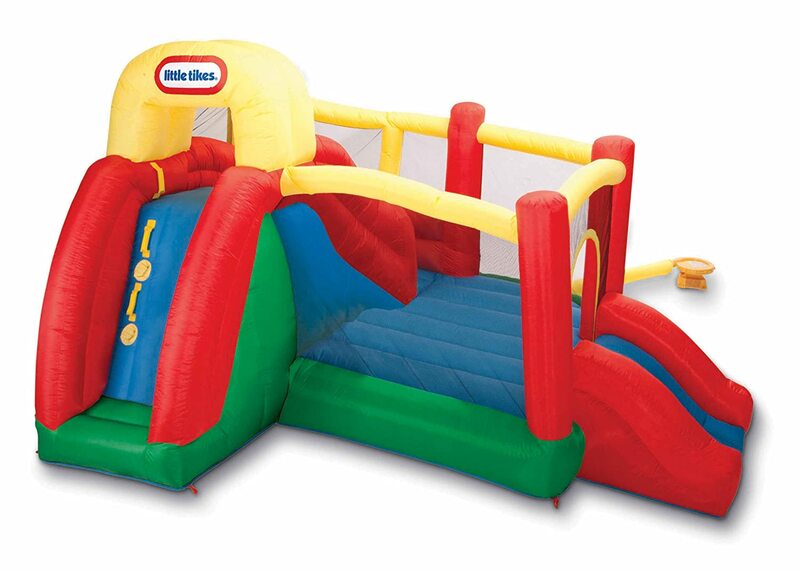 This bounce house is suitable for those aged three and up and sets up in minutes. 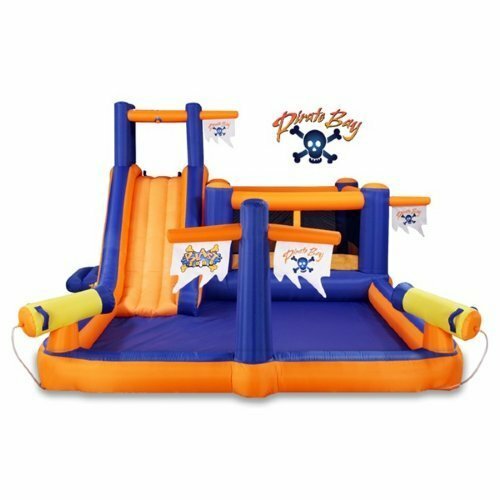 Plus it comes with a carry bag, anchor stakes, air blower and patch kit – so you have everything you need for hours of bouncing fun. This little bouncer is suitable for use by up to three children at a time and comes with a built-in slide for extra fun and included stakes for added safety. Built-in mesh pockets make for easy shoe storage. Suitable for use by up to three children at a time, this bouncer also features a built-in slide and easily inflates in just minutes. Thanks to its tall walls and and meshed sides, it makes for a secure jumping area for your children. 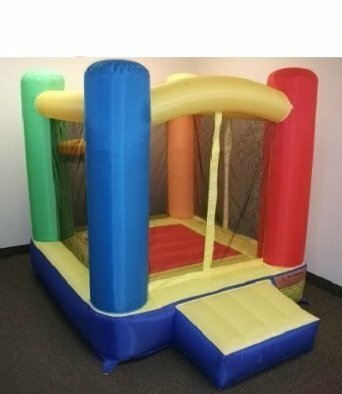 Small enough to be used indoors and outdoors, this bounce castle can be used by up to two children at once with a combined total weight of less than 150 pounds. 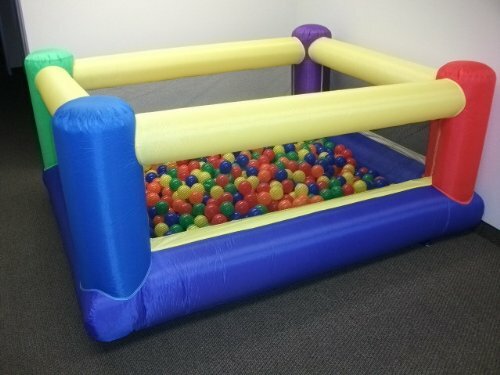 You can easily add balls to create an at-home ball pit. 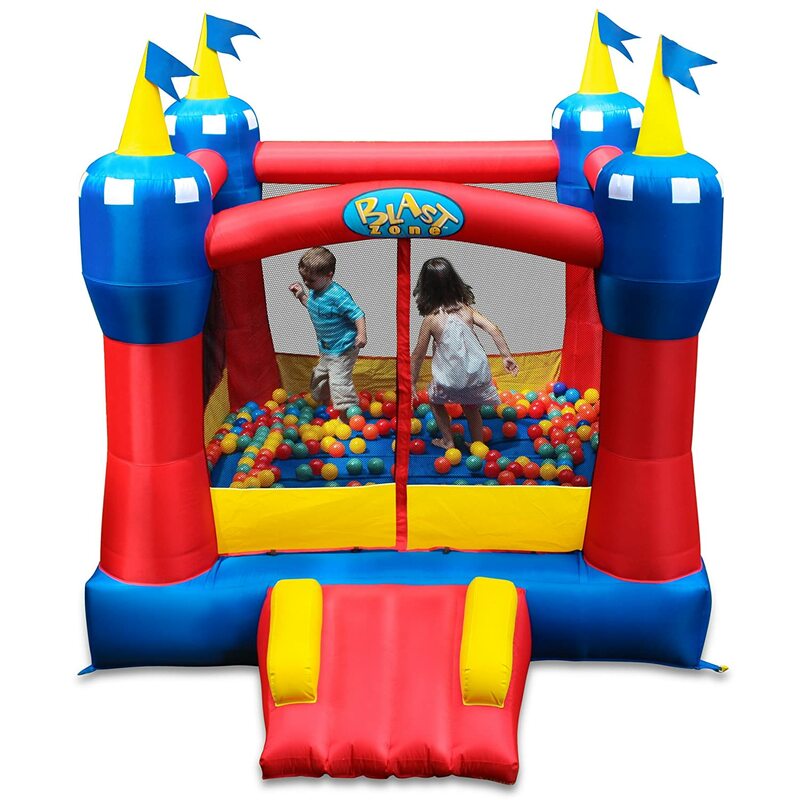 This bouncy house comes with a built-in ball pit for hours of jumping fun and can be used both indoors and out. This moon-themed bouncer is fully enclosed with safety netting to help keep little ones safe, and features 7-foot high walls that make it suitable for indoor use as well. Small enough when stored to take up as much space as a sleeping bag, yet large enough when inflated to hold up to five children, this bouncer inflates in less than two minutes for hours of jumping fun. 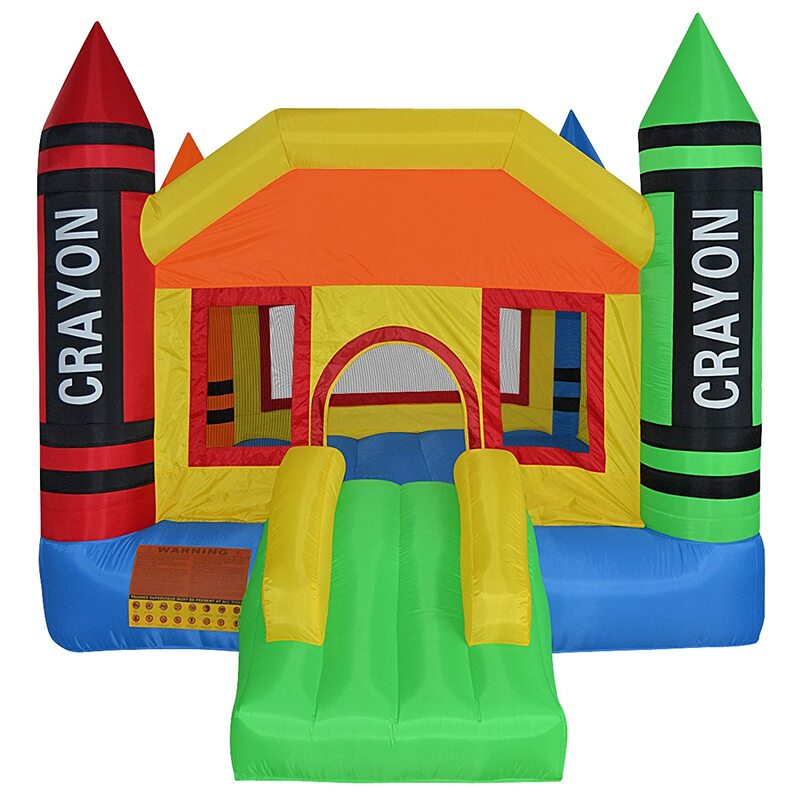 This cool crayon-themed bounce house inflates in under a minute thanks to its easy-to-use on/off switch and is double and quadruple stitched for added durability. Suitable for both indoor and outdoor use. As small as a rolled sleeping bag when not in use, this bouncer is ideal for use by up to two children at once and is compact enough to be used indoors. 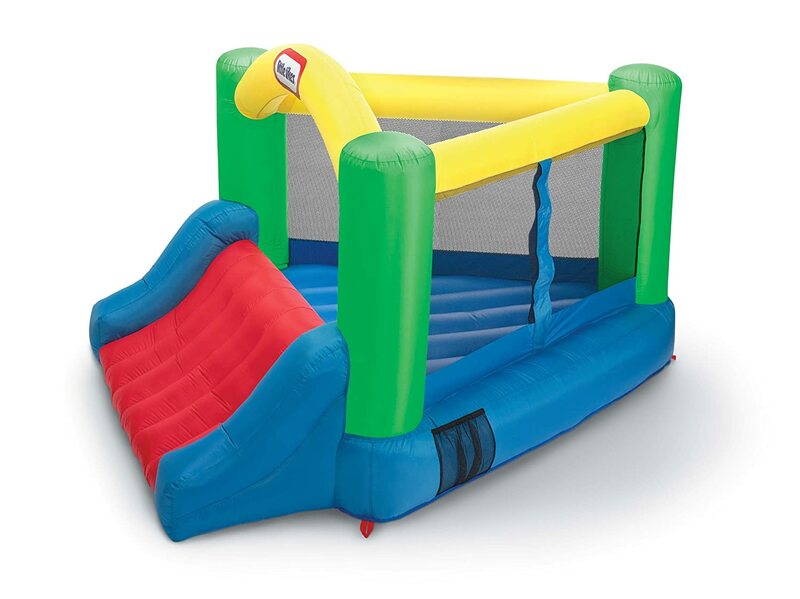 Perfect for the basketball lover in your life, this bounce house features a built-in hoop for added fun and activity. There’s also a slide for a fun exit. 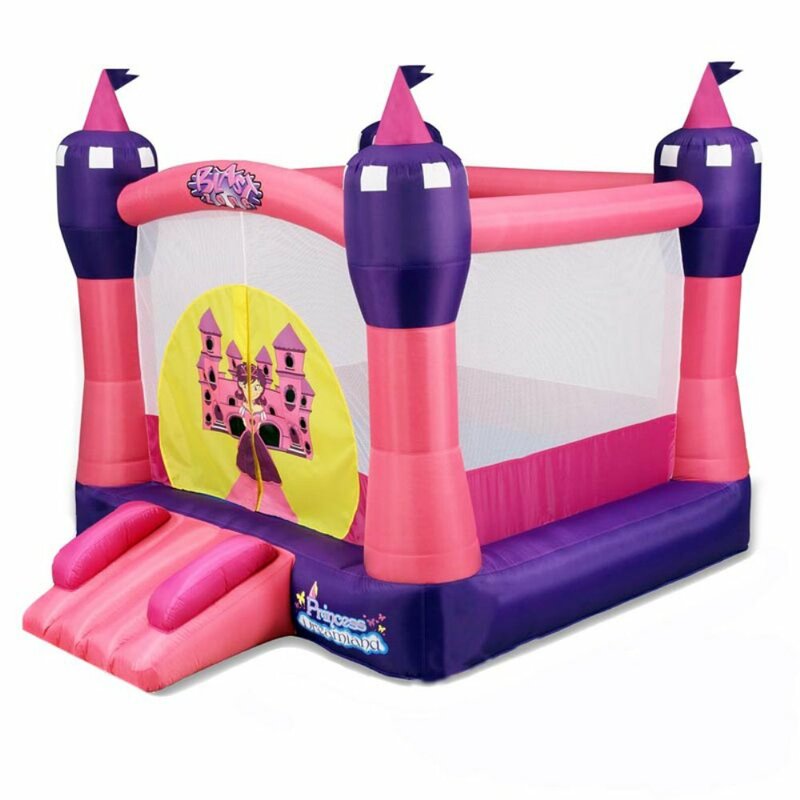 Your little prince or princess can bounce in style with this palace-themed bounce house that features a detachable velcro roof for protection from the sun when used outdoors. 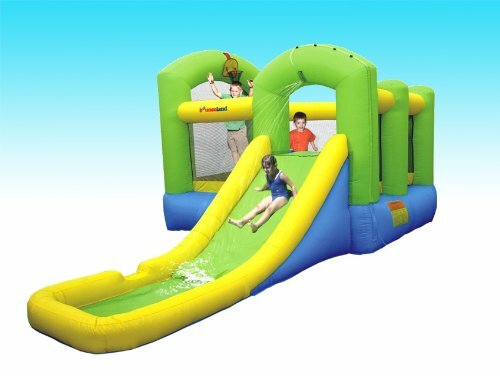 Slip and slide for hours of outdoor warm-weather fun with this inflatable water park that is suitable for use by up to six children at once. 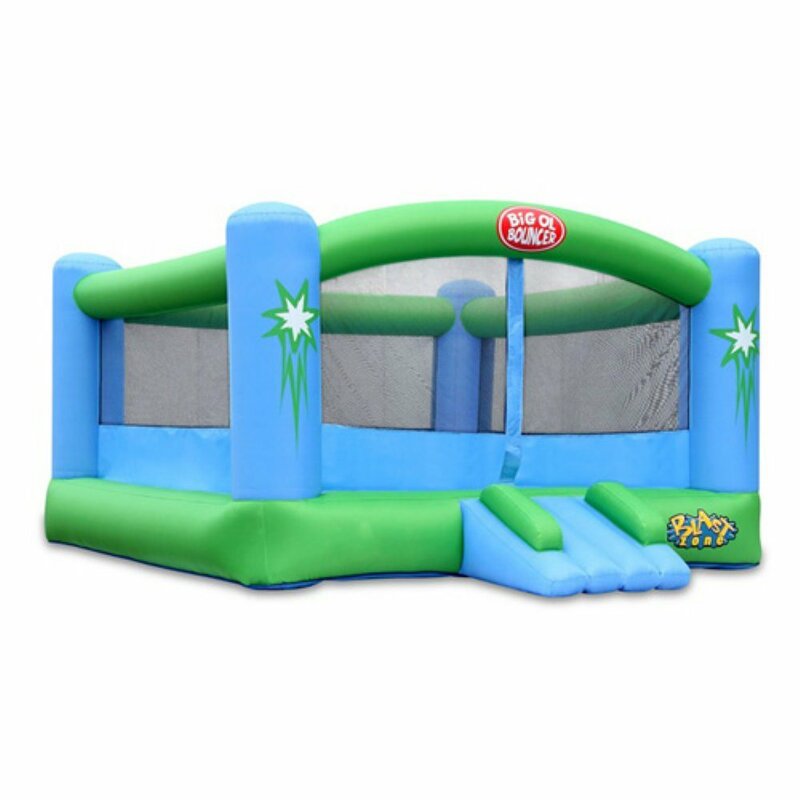 Suitable for both indoor and outdoor use, this bouncer provides a large jumping surface for little ones and an extra-wide slide to provide a safe exit when playtime is over. 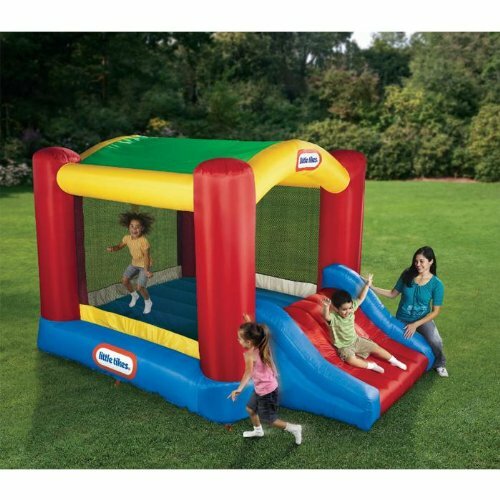 This bouncer can be used both indoors and outdoors and features an built-in hoop for extra fun and activity options. Safety netting on all sides help keep your little ones protected. Ideal for use by up to two children at once. 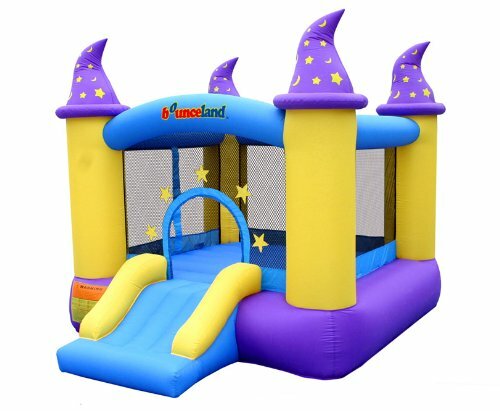 Prepare to amaze the magic-lover in your life with this wizard-themed bounce house that inflates in under a minute to provide hours of jumping and bouncing fun. 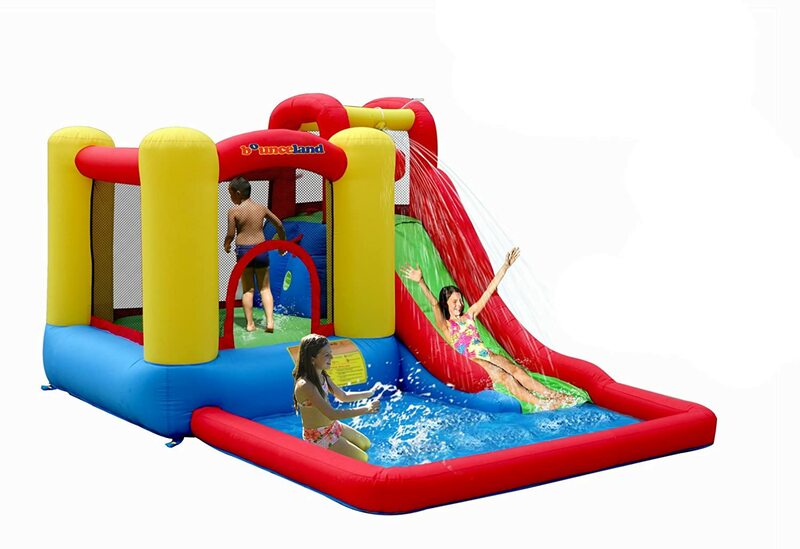 Suitable for use by up to five children at once, this inflatable bounce house and water park inflates in under two minutes and features a slide, built-in water cannons, crawl tunnel and splash pool. 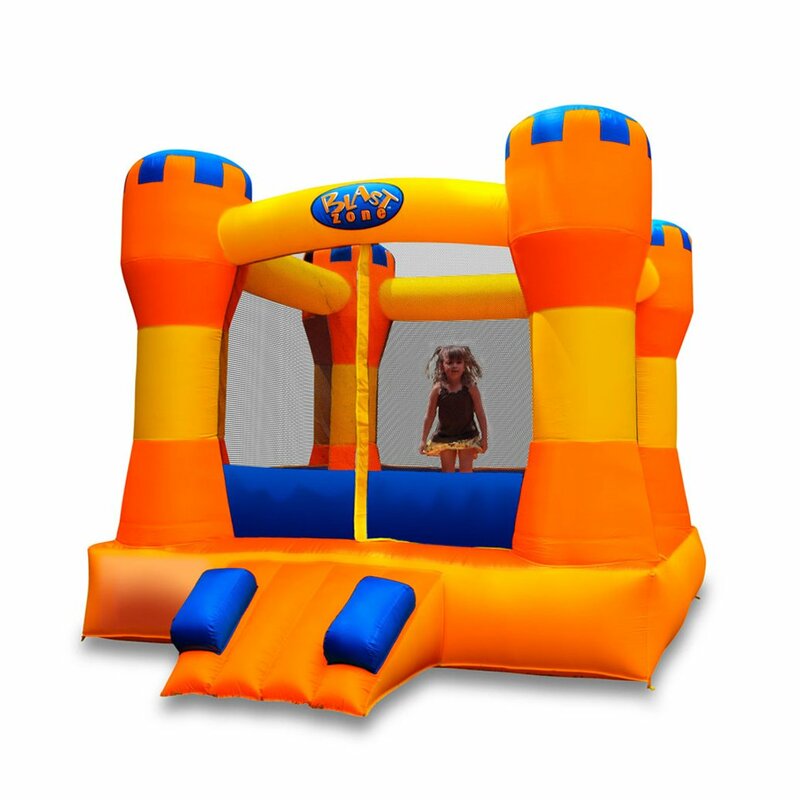 Delight your little prince or princess with this castle-inspired bounce house that features mesh all on four sides to help keep your little ones safe. Suitable for use by up to three children at once, the slide provides a fun exit when playtime is over. This inflatable water park lets your family have fun in the sun while staying cool on those hot summer days. An inside return means your little ones can stay in the unit while sliding over and over and again. 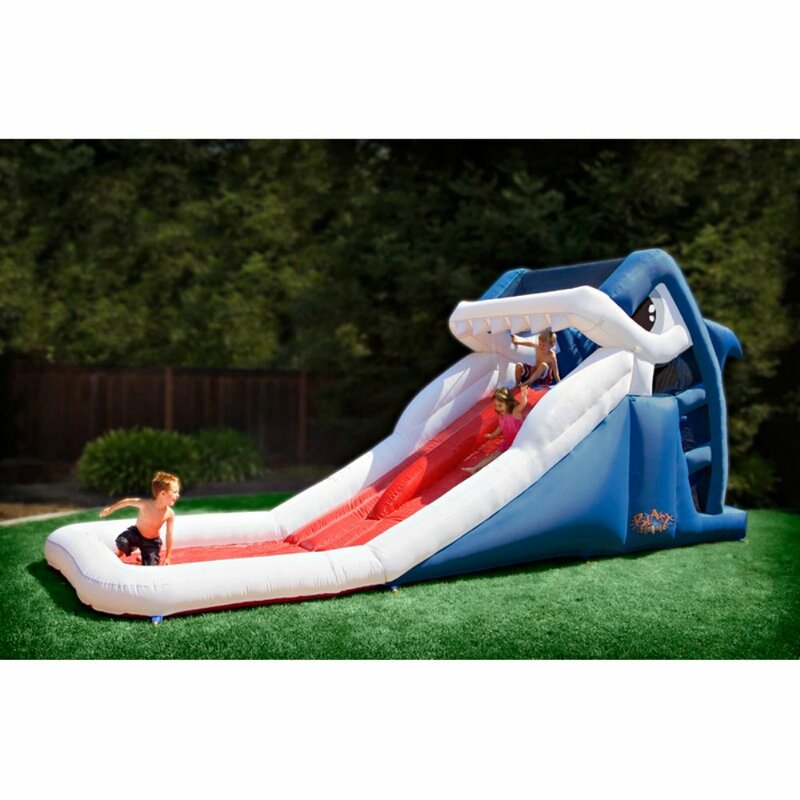 This inflatable water paradise features dual slides – can you say race time? 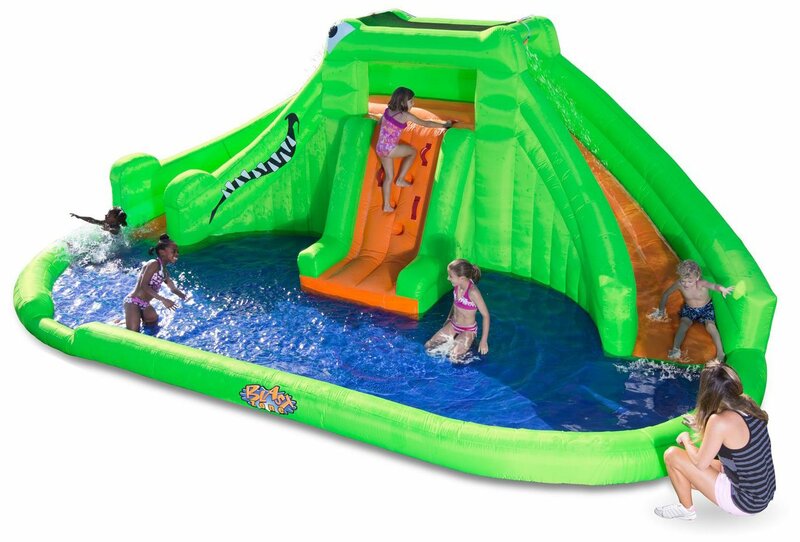 – and a splash pool that can accommodate use by up to six children at once. 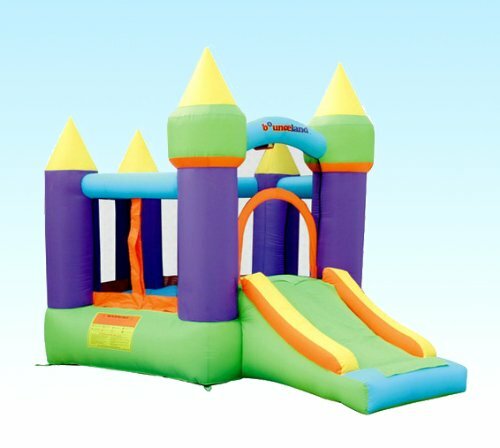 This mega castle inflatable bouncer comes with a host of features to keep your little ones entertained for hours including a built-in hoop, two slides and large jumping surface. 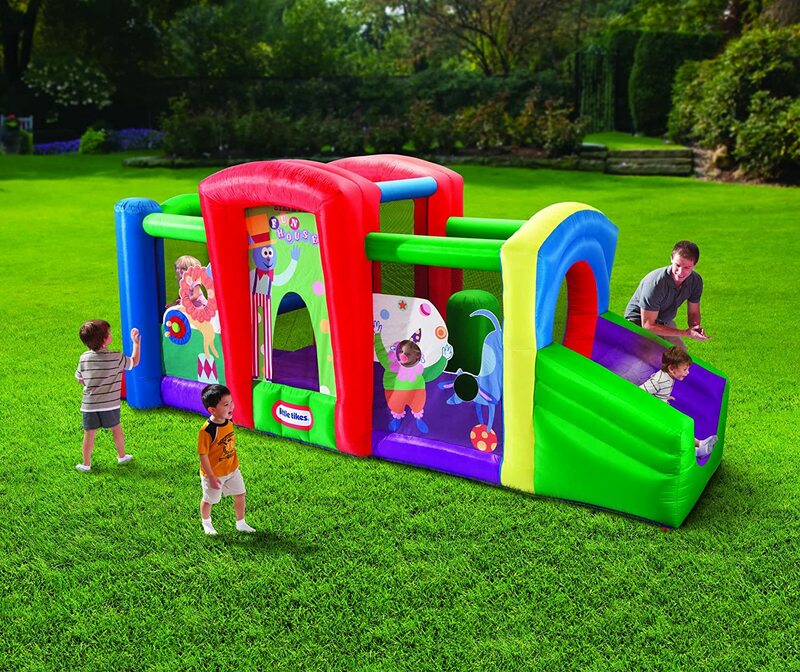 Suitable for use by up to three children at a time, this multi-functional bouncer features a splash pool that doubles as a ball pit, built-in sprayers and a fun crawl-through tunnel for hours of outdoor fun. 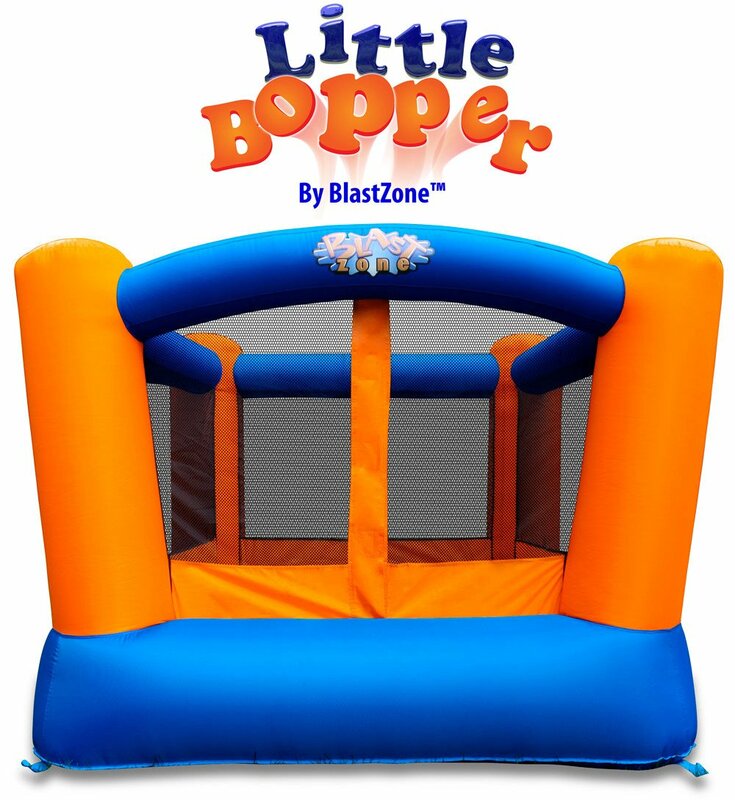 This simple bouncer is the perfect first bounce house for your little one and features fully-enclosed mesh walls to help keep them safe. Suitable for use by up to three children at once. 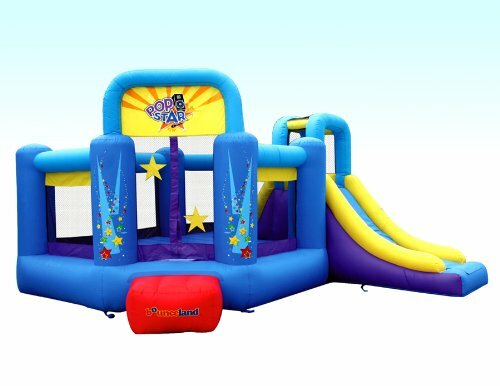 This pop star-themed bouncer features a built-in basketball hoop and slide to provide your child with hours of outdoor fun. 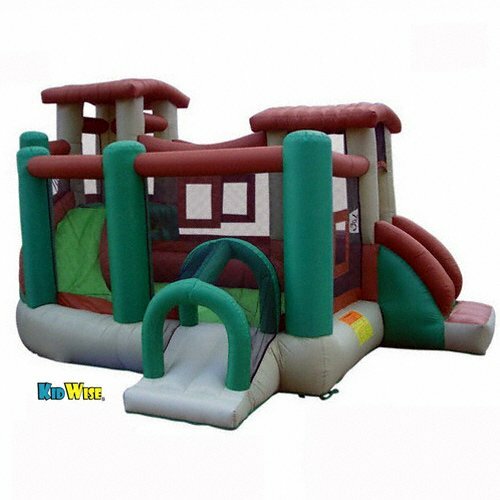 The perfect size for both indoor and outdoor use, this bounce house would make an ideal first bouncer and features a built-in basketball hoop and step to help your little one safely enter and exit the unit. 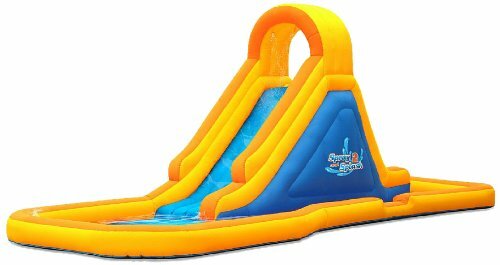 Suitable for use by up to two children at once, this inflatable water slide provide hours of outdoor climbing and sliding fun that can be used both wet and dry for year-round enjoyment. 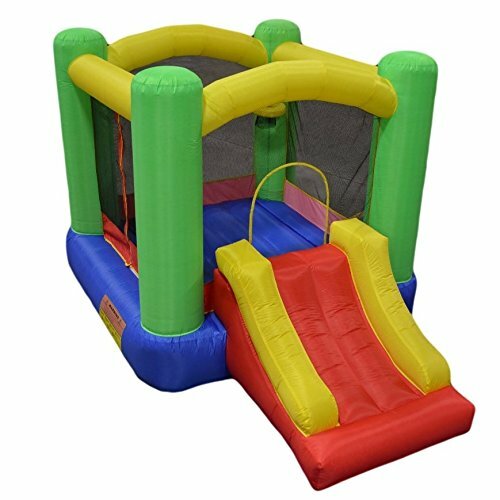 With a built-in climbing wall and hoop (with included ball), this bounce house will provide hours of entertainment for energetic little ones. Suitable for ages three and up. 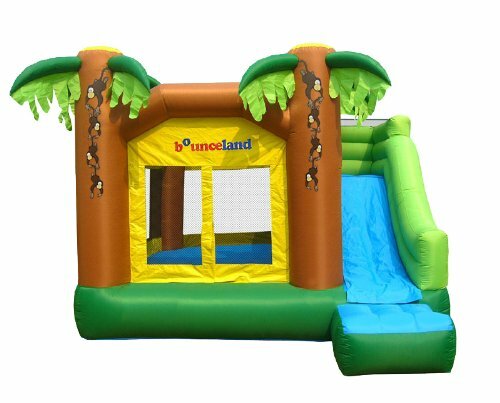 This jungle-themed bounce house features netting on all sides, a built-in basketball hoop and a velcro detachable roof for protection on sunny days. Plus it easily inflates in less than a minute so your little one can start having fun in no time. 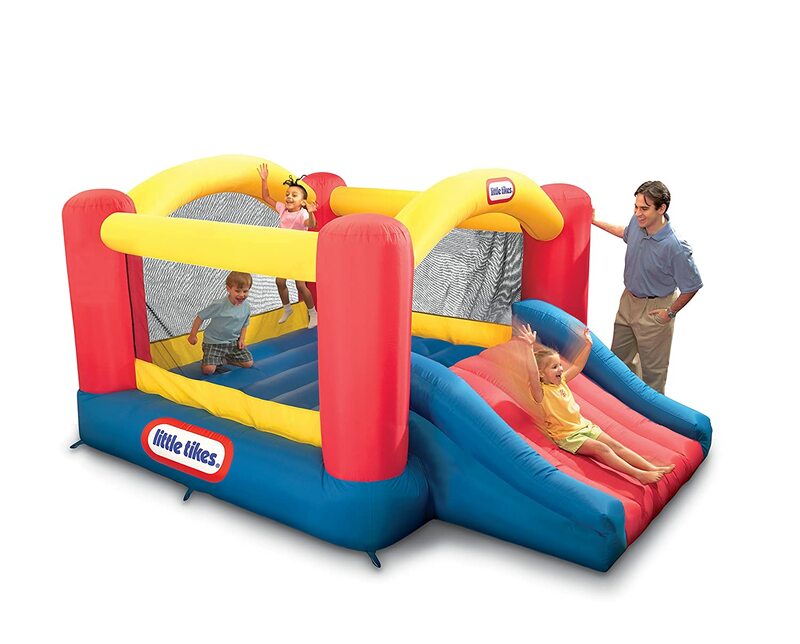 This bounce house features a number of obstacles to help entertain and exercise your child for hours of outdoor play. 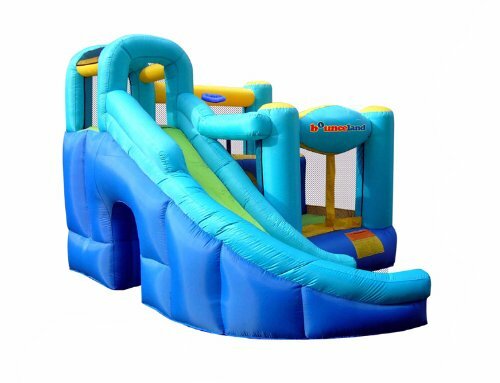 Its dual slides make it an ideal activity for birthday parties. 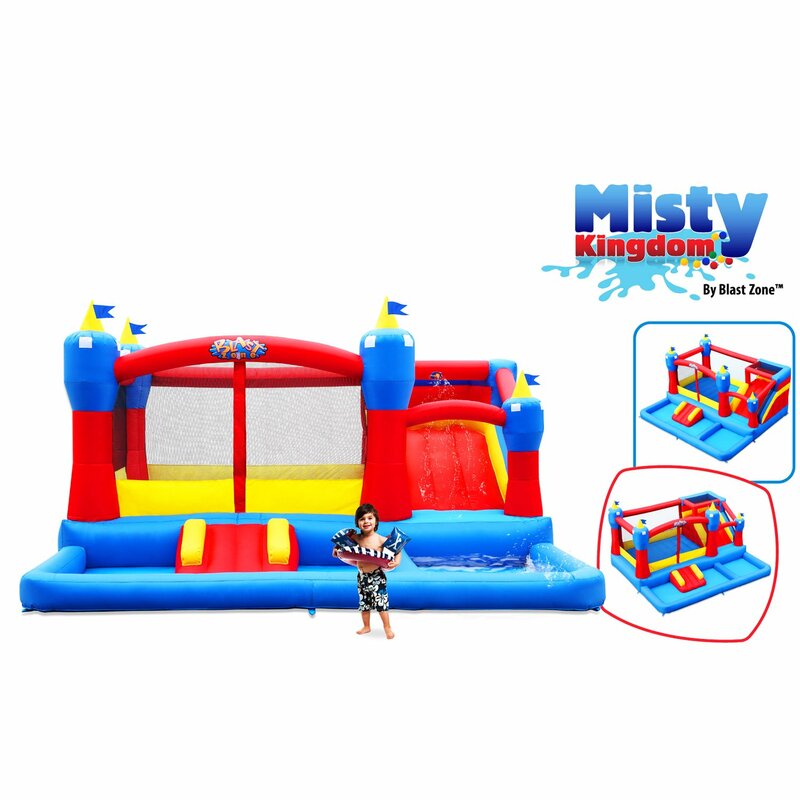 Suitable for both wet and dry use, this bounce house easily connects to a water supply to convert into a splash pool and water slide. Suitable for use by up to three kids at once. Suitable for outdoor use by up to three children at a time, this bouncer features a built-in hoop and slide for additional fun and is enclosed with durable mesh netting for your little one’s safety. 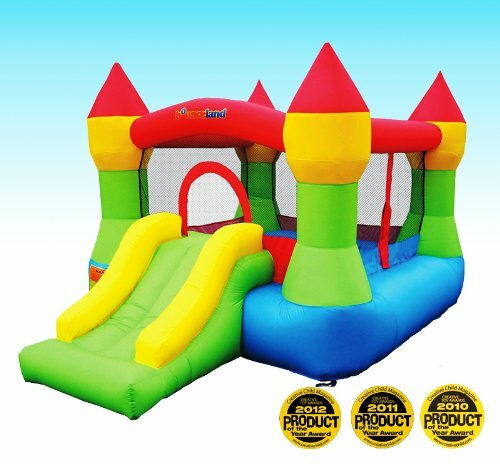 As compact as a sleeping bag when not in use, this large bounce house inflates in under two minutes and features a number of play surfaces and zones for house of outdoor fun. This bounce house inflates in under a minute and features all around safety mesh to help keep your little ones protected while playing. Suitable for use by up to three children at once. 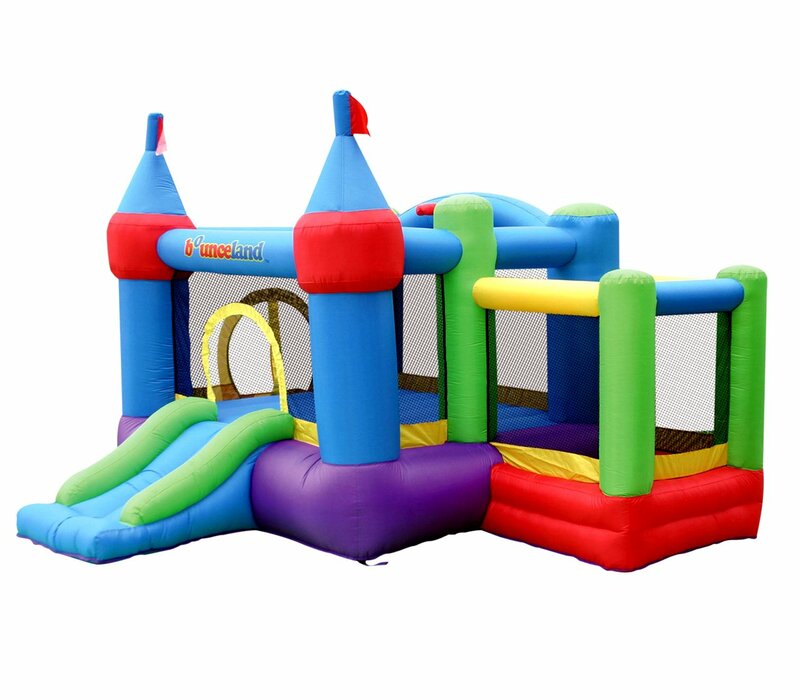 This bounce house features the ultimate combination of play surfaces including tunnel, ball pit, slide and more to provide your child with hours of outdoor entertainment and exercise. Suitable for use by up to four children at once. 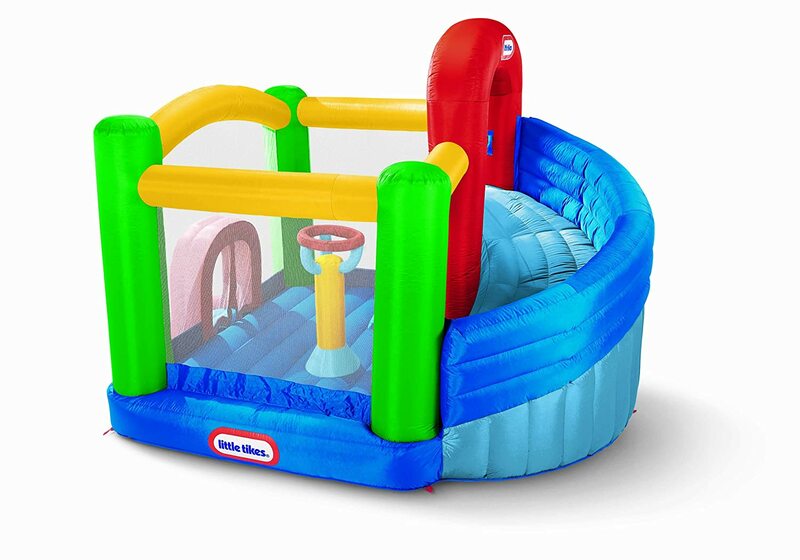 Suitable for both wet or dry use, this bouncer features a built-in basketball hoop and long slide for hours of fun and play. This unit inflates in just minutes and is suitable for use by up to four children at once. 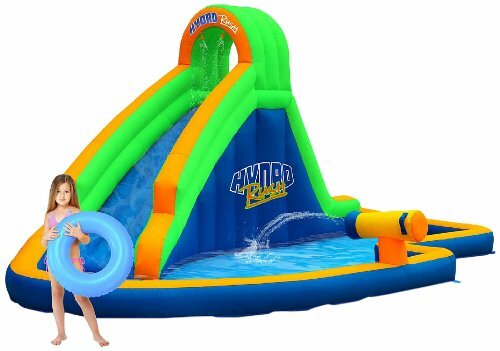 Commercial grade materials are what make this inflatable water park an ideal choice for spirited youngsters. 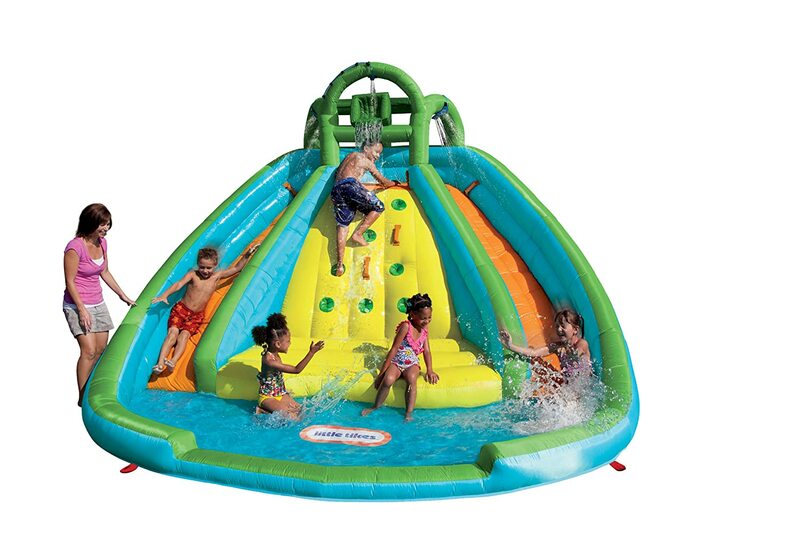 The multiple pools, slides and tunnels will keep them entertained and cool for hours. 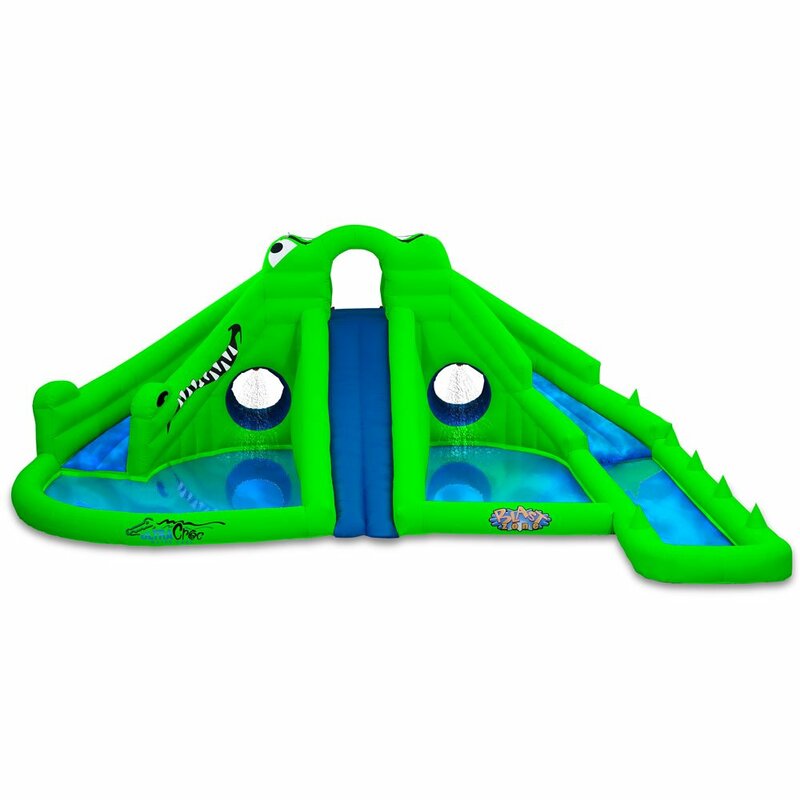 This inflatable water bouncer is a fun way to help keep your little ones active while staying cool on warmer days. 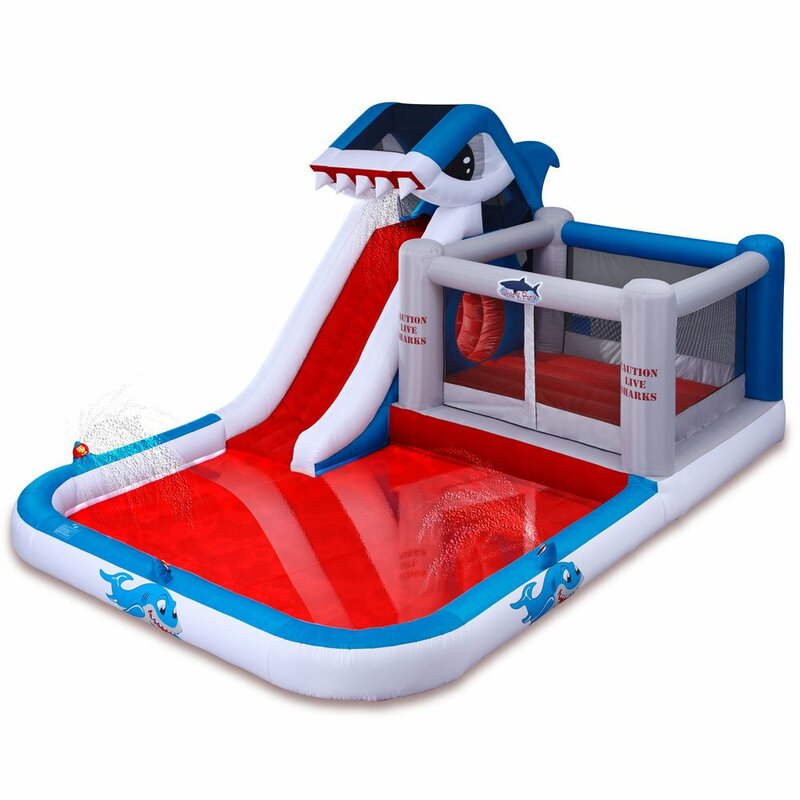 Built-in slides, climbing wall and splash area provide endless fun. 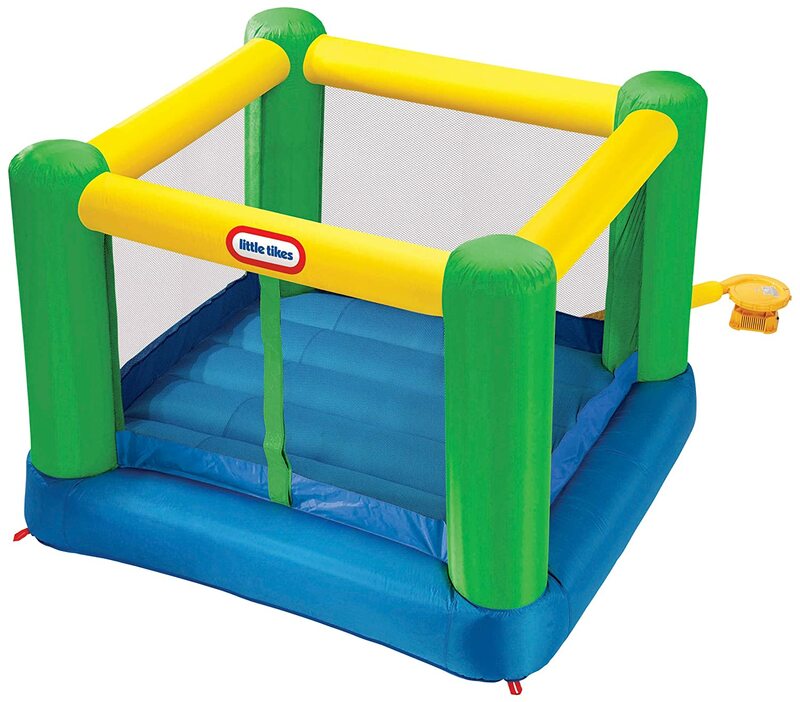 Suitable for use by up to four youngsters at a time, this bouncer features fully enclosed safety netting to provide little ones with a secure jumping area. Sets up in minutes and folds up to the size of a sleeping bag. 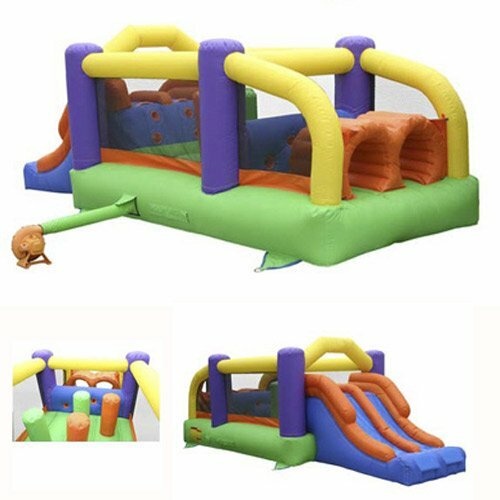 With dual slides that are perfect for racing and a giant splash area and separate bounce section, this inflatable bouncer might just be the perfect toy for keeping your kids healthy and happy outdoors this year. 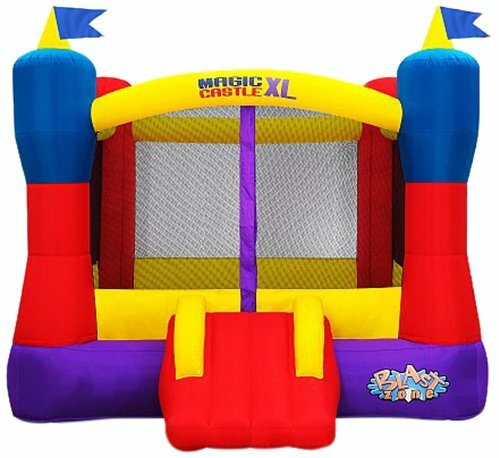 This extra-large castle-inspired bounce house inflates in under a minute and features a safe slope slide and all around mesh safety netting. Suitable for use by up to five children at a time. Double the slides for double the fun! 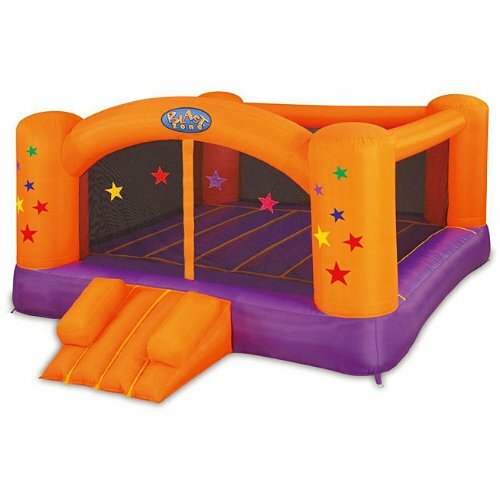 This bouncer also has two entrances, including a crawl-up style wall to help burn even more energy. 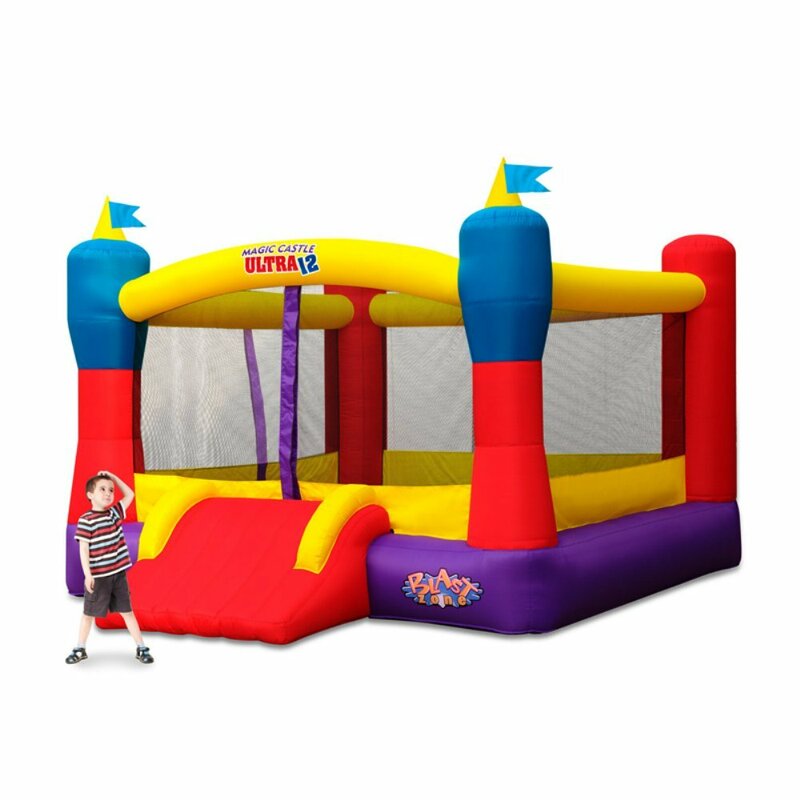 This ultra bounce house would make the perfect entertainment at your next party or get together and features a double wide slide entrance, as well as an additional entry point on the side. 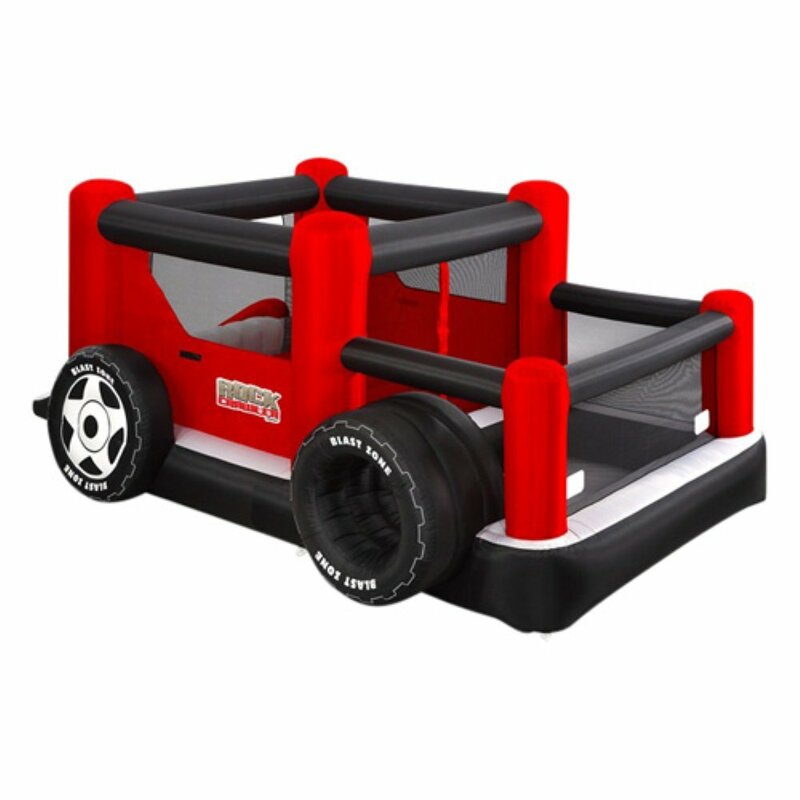 Wow the car-lover in your life with this truck-shaped bouncer that features a slide, ball pit and large enclosed bouncing area. Easily inflates in under two minutes. 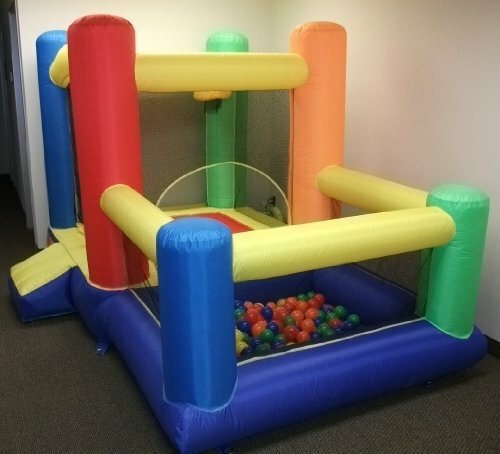 This bounce house features a separate ball pit area (balls included) and side for hours of entertainment. Fully enclosed safety netting and suitable for children up to 8 years of age weighing less than 100 pounds. Perfect for your little princess, this bouncer is suitable for use by up to three children at a time and features fully enclosed safety mesh for added safety and security. 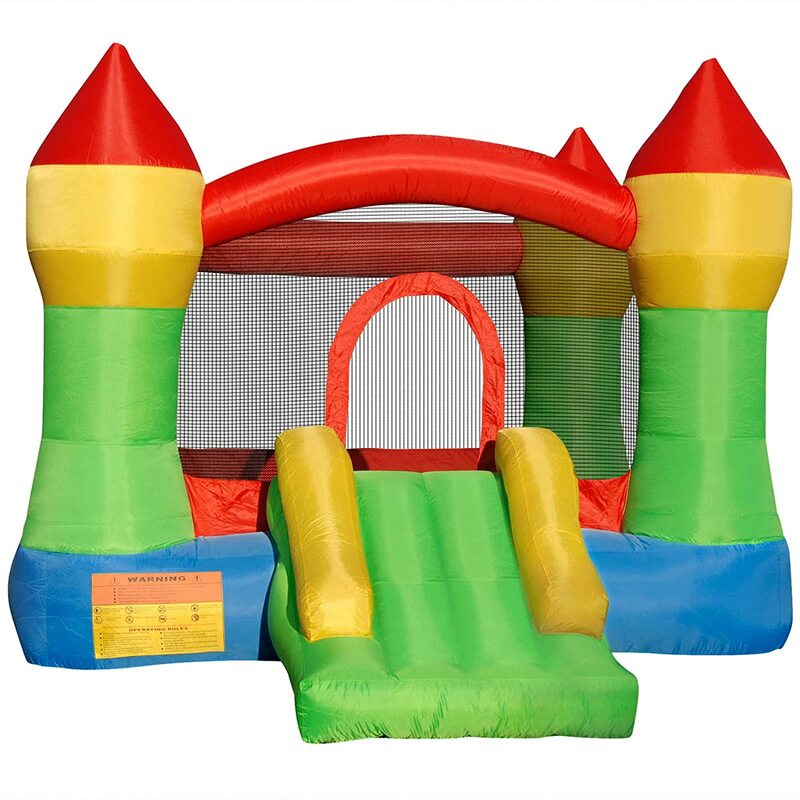 This bounce house is suitable for both indoor and outdoor use and features two built-in hoops for hours of bouncing and basket-shooting fun. Suitable for use by up to two children at once. This inflatable ball pit is sure to provide your little ones with hours or indoor or outdoor fun that easily sets up in just 30 seconds. Suitable for use by up to two children at once. 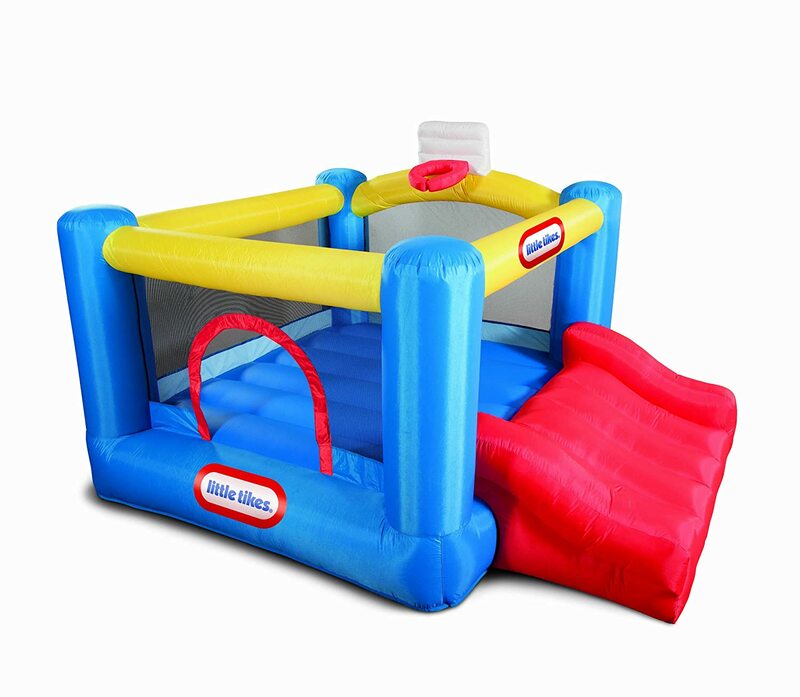 This bouncer features a large bouncing area with built-in hoop as well as a separate ball pit area for hours of fun. Suitable for use by up to three children at once weighing less than 100 pounds each. 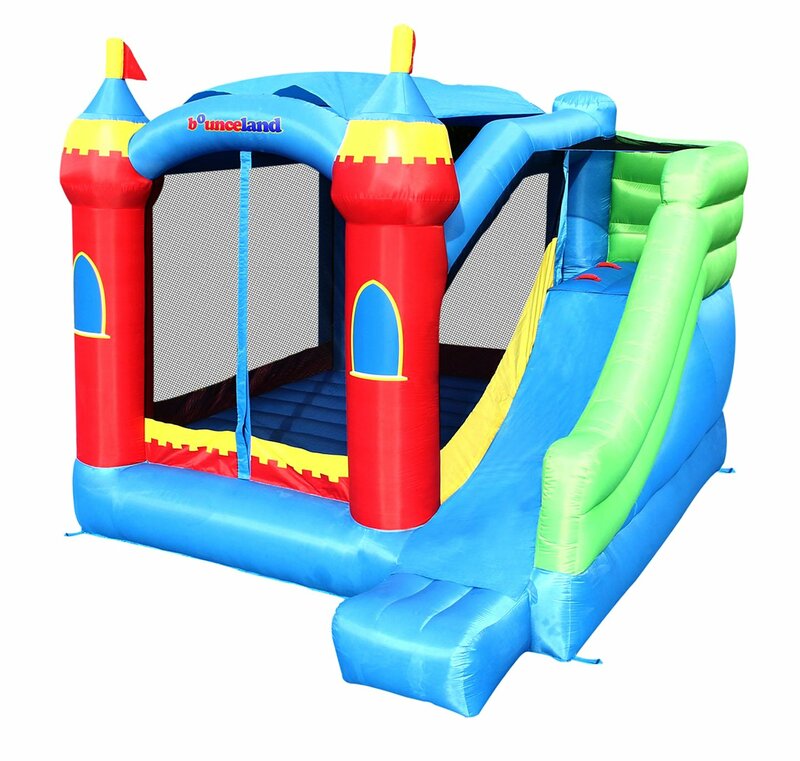 This fair-inspired fun house bouncer features three separate bouncing areas, built in ball toss, slide and cutout characters to help your little one flex their imagination. 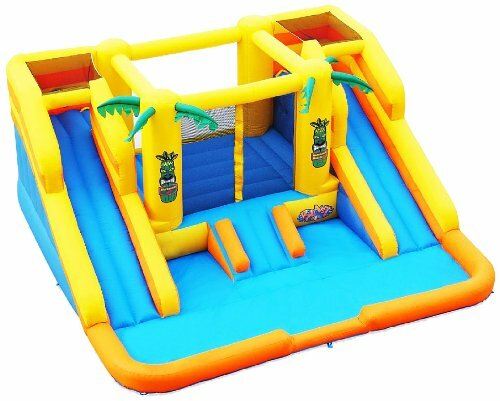 This tree house-inspired bouncer features multiple play areas including three slides, a catwalk and optional ball pit area. Suitable for use by up to four children at a time weighing up to 100 pounds each. Aging Parents: How Do You Know They’re Safe at Home When You’re Not There?